Rediff.com » Movies » Can anyone be more stunning than Ashaji, Waheedaji? Can anyone be more stunning than Ashaji, Waheedaji? 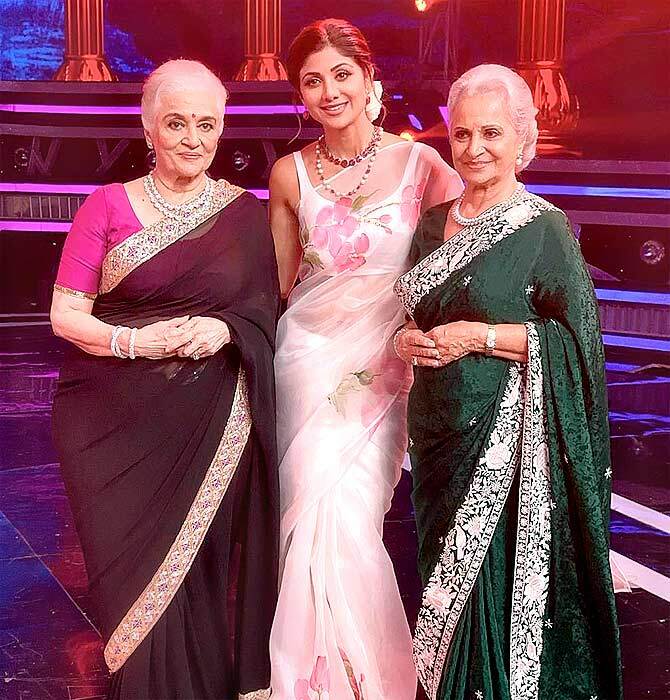 Veteran actresses Asha Parekh and Waheeda Rehman visited the sets of Super Dancer Chapter 3 as special guests on April 8. 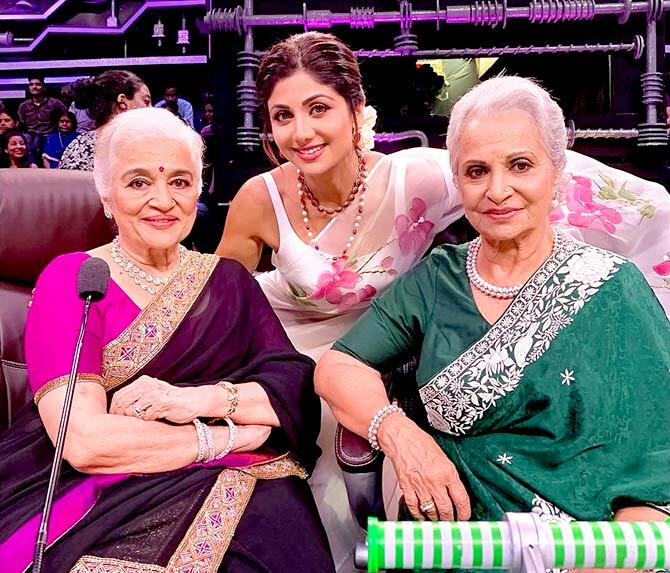 Shilpa Shetty -- one of the three judges on the show -- is a huge fan of Asha Parekh and Waheeda Rehman. 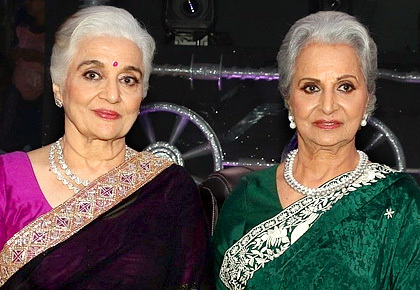 Waheedaji turned 81 on February 3 while Ashaji turned 76 last year. 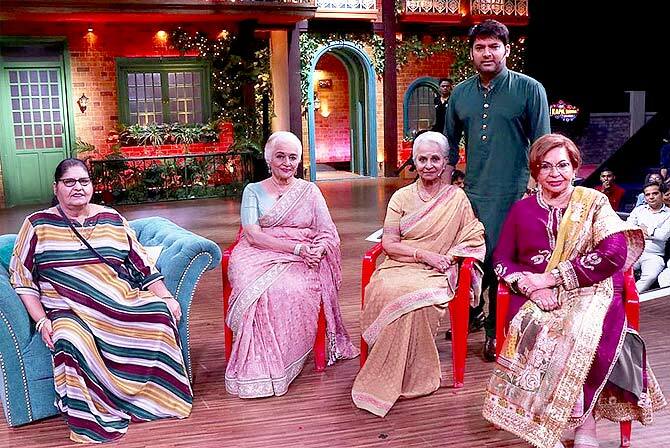 On March 30, Waheeda Rehman, Asha Parekh and Helen -- would you believe she turned 80 last year -- were on The Kapil Sharma Show. 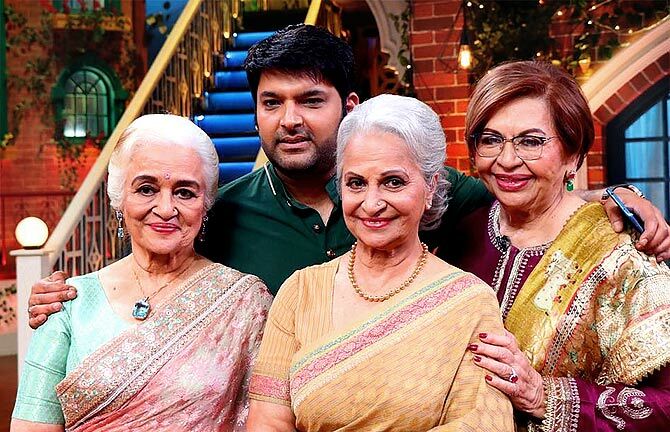 Kapil Sharma posted pictures with the veteran beauties on his Insta account. 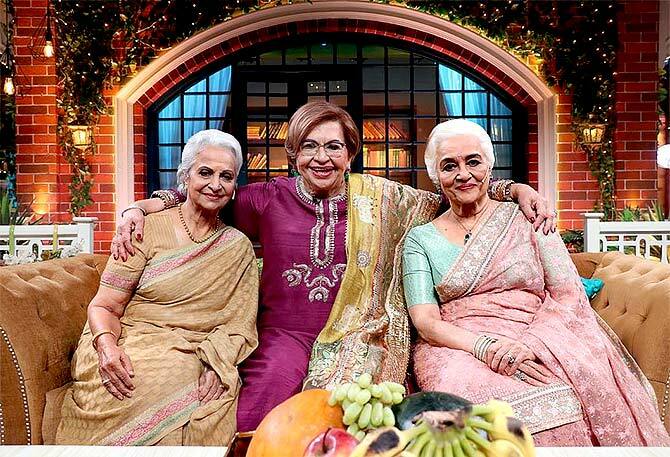 Kapil's mother Janak Rani also posed with the three legends. 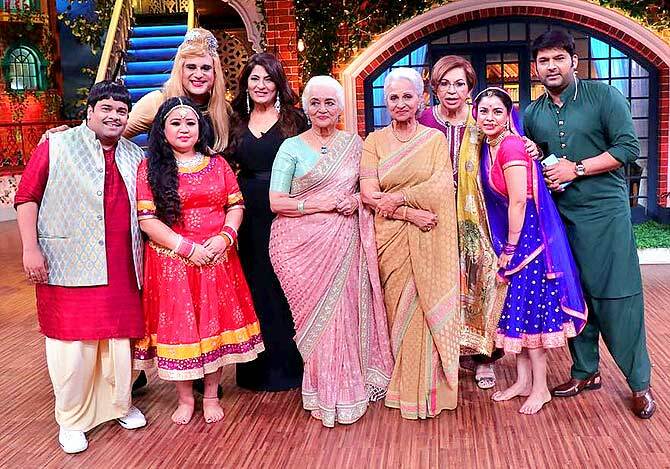 The entire cast of The Kapil Sharma Show -- Kiku Sharda, Bharti Singh, Krushna Abhishek, Archana Puran Singh, Asha Parekh, Waheeda Rehman, Helen, Sumona Chakravarti and Kapil Sharma -- smile for the camera.